A Team from our Rhythmic England Squad travelled to Belgium recently to compete in the 20th Happy Cup - an FIG Competition. The Competition is run annually and took place at the Sporthal 'Keiskant', Gent from 3rd to 5th November. The England Team took part in this event as part of England's preparation for the Commonwealth Games in 2018 and were under the guidance of Coach, Sarah Moon, with support from Ruth Wilson as Judge. 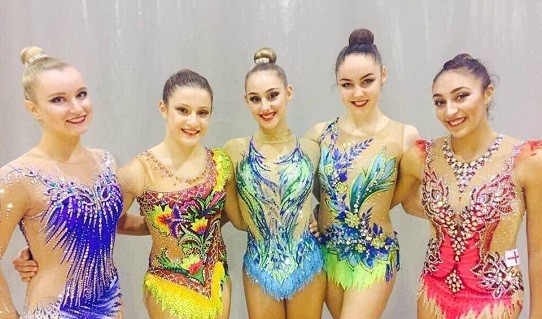 England's gymnasts had an excellent competition and made three apparatus Finals - finishing the competition with 2 Bronze medals (Christianna Vitanova - Clubs and Mimi-Isabella Cesar - Ribbon). Congratulations on behalf of the Board of English Gymnastics for these excellent results.